Driving is important as it helps people to travel from one place to another. Every individual who drives has the sole responsibility of controlling his/her vehicle during the course of the travel. Enough care should be taken while driving a car or a truck. Safe driving is essential as it ensures the safety of the individual driving the vehicle as well as the fellow mates who use the road. The drivers should be always attentive towards the drive without any deviations. There are certain things which every driver using the road should be aware of. These things are pertaining to the road safety and help avoid accidents. It helps in a safe yet pleasant journey for the drivers. In the following sections, these simple things are discussed. Most of the vehicle accidents can be prevented or its impact can be reduced if the vehicle is driven under controlled speed. 'Speed thrills but kills' is very true in the case of driving. Every road has an assigned speed limit and it is important that every vehicle follows this limit. Statistics says about one-third of the accidents could have been avoided if the speed limit was followed properly. The next thing is to drive cautiously. There can surprises anytime during the travel. These include sudden lane changes, un-signalled turns, sudden stops, tailgating, etc. The drivers should anticipate such sudden anomalies that can happen on the roads. Some of them may be intentional but most of the times, they are unintentional and unavoidable. The drivers should be capable of managing such instances so that any undesirable incidents can be avoided. The drivers should also take care about not getting distracted or deviated from the road. Any sort of disturbances, even in terms of seconds, can bring devastating effects and injuries resulting from an auto accident. The drivers should be able to judge themselves about their ability to drive. They need to ensure that they are not drowsy while driving. Drowsy driving is emerging as a major contributing factor for the fatal accidents in the recent times. The drivers making long travels on the highways are prone to drowsiness. There can also be cases where drivers may consume sedative substances unintentionally. Such carelessness can affect their driving capacity. They should take steps to avoid the drowsy driving. 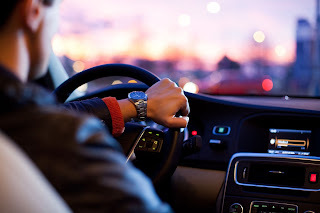 Some of the strategies include taking frequent breaks, getting a sound sleep the day before long trips, having a companion to converse, taking turns when there are two drivers in the vehicle, etc. The roadways are vulnerable to accidents at some defined time, according to the statistical data. It is from midnight to 3 a.m on Saturdays and Sundays and about 66% of the fatal incidents are reported to occur on these days in the mentioned time period. So unless it is very important, it is better for the drivers to avoid travels in these days. It can largely impact the number of accidents and it is in our hands to bring down the count of the fatal incidents. All these simple things can make a difference in everyone’s life. The drivers should understand their importance of safe driving and implement them each time they drive on the roads. It makes life easy and safe for all the road users.